A really long weekend has now ended. We are tired. Jeff is playing hockey. Today was Father's Day and James' birthday. Taking care of the men in my life is exhausting! Jeff slept in for an hour or so and was forced into parenting on his most special day. We had to celebrate James' birthday, and honestly, Mommy was really tired. AND James received this lovely gift. It is a thoughtful gift. The kids love it. BUT IT IS 6 FEET WIDE AND 3 FEET HIGH AND IT IS A JUMPY HOUSE FOR OUR LIVING ROOM. I must be honest here: it provided many hours of entertainment today and will do so for many months. 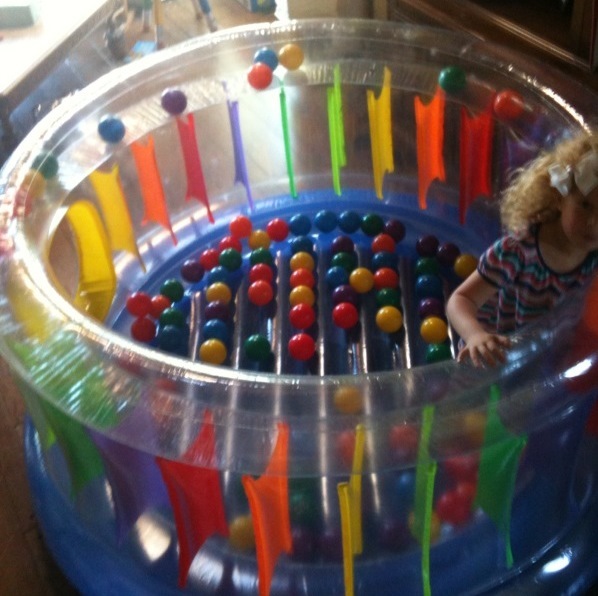 However, God love my in-laws, I think they chuckled when they bought it and the extra 100 Bouncy Balls. Fun and mayhem all in two Amazon Boxes. Um, this is bigger than a hot tub! He had fun. Jeff, maybe not so much. But Jeff was a trooper, as usual! Lilly's Preschool end of the year party was on Saturday, even though we have five weeks to go because we are in Summer Fun Time!!! Words can not express how much I love her preschool. And as we end this weekend, we reflect. 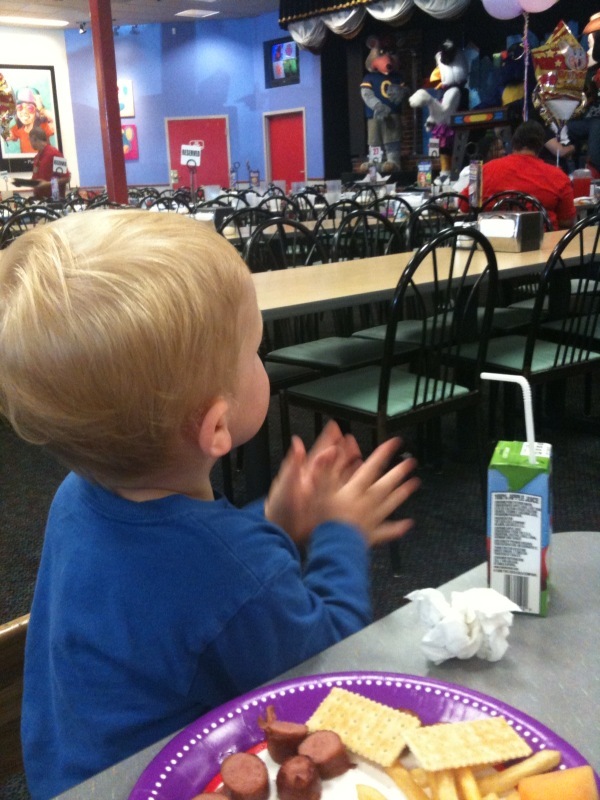 In the middle of Chuck E Cheese, or on the way home in 2 hour long traffic. We reflect: We love our babies. We love our husbands. We love our dads. We reflect. Life is good. We appreciate, always we appreciate. Happy Birthday to James! I didnt realize! No wonder he is seeming so grown up. Maybe the jumpy house is "pay back" for the mayhem you created on your last visit to Denver! Happy Birthday to James! What a wonderful week-end filled with great things, celebrations, fun, pizza, picnic, jumpy house for the living room. Wow! All these things are amazing. 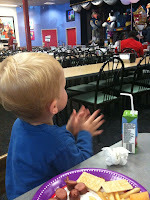 In the midst of it all, James turns 2 and that is hard to believe. 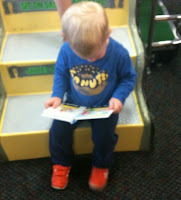 What a grown up little guy and so much fun! Happy to be a part of it all!